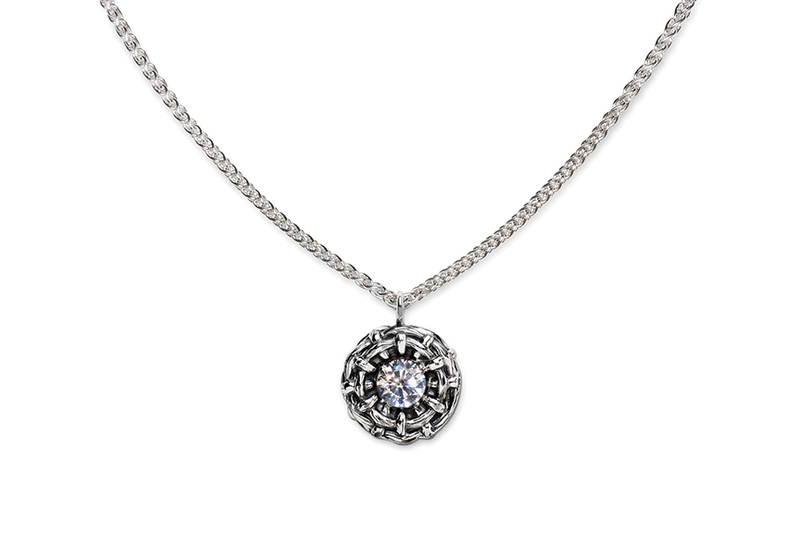 What's not to love about the Bamboo Pendant in natural crystal quartz? Chic for the office, elegant for evening and charming for weekends, it is one of our most versatile pieces. Its design is reminiscent of an intricate nest topped with a sparkling quartz accent. Comes with an 16" sterling chain.